The front man from the raucous Melbourne based Chicago Blues outfit 'Catfish Voodoo' has been playing around Australia for the past 8 Years. His style is based deep in the Blues/ Gospel Acoustic Strummers of the South, with biblical references of Love, Loss and Debauchery. 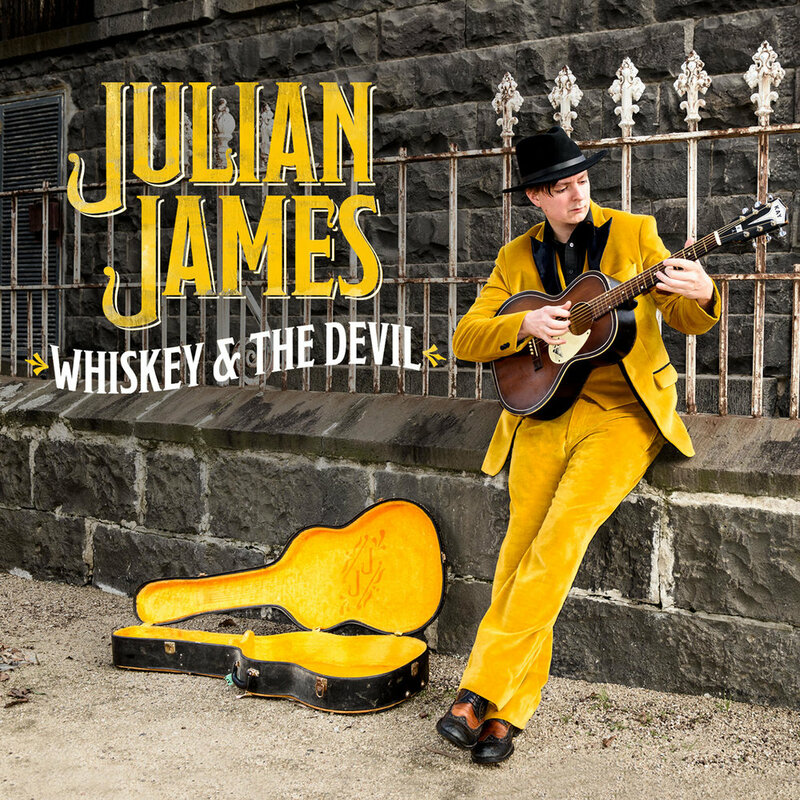 Recorded with Paulie Bignell (The Detonators, Paulie Bignell and the Thornbury Two) in Hailstone Studios (Three Kings), 'Whiskey and the Devil' is a mix of the contemporary and traditional that showcases a different side of a man familiar to Australian blues fans. Julian James will be hitting the streets to a town near you!